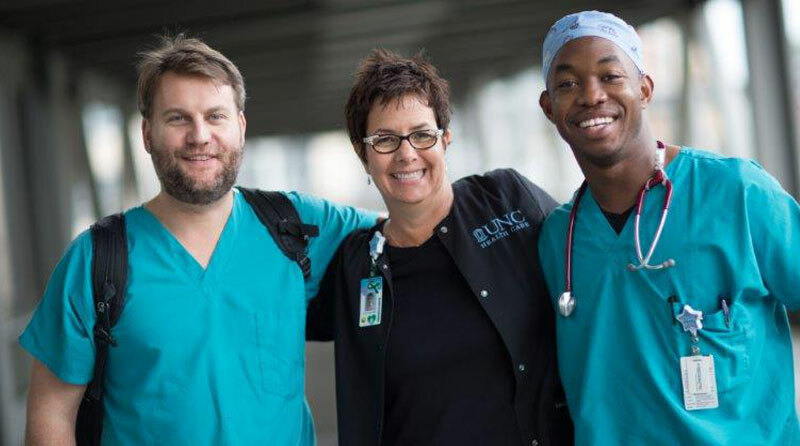 UNC Hospitals is seeking experienced cardiac surgery nurses who are looking for a bright career building opportunity in this exciting, collegial, fast paced environment to join our team! We provide a innovative research and cutting edge surgeries to a wide array of patients, from newborns to those in their 90's. Since our OR's are open 24/7, some call is required. Positions are 40 hours a week which qualifies you for a generous benefit package. We have flexible scheduling to help you maintain your work / life balance. Graduation from a state-accredited school of professional nursing. Licensed to practice as a Registered Nurse in the state of North Carolina, BLS for Healthcare Provider certification. Requires one year of nursing experience (Preferred candidates have 2 years of OR experience, scrub experience and work in an academic teaching center). If hired after January 6, 2014, must be enrolled in an accredited program within four years of employment, and obtain a Bachelor's degree with a major in Nursing or a Master's degree with a major in Nursing within seven years of employment date.